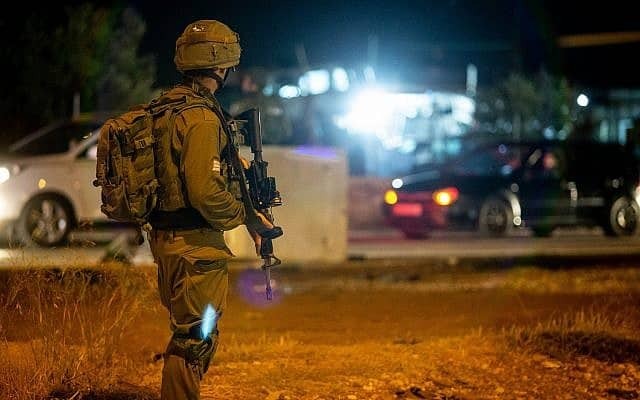 Arab terrorists on Monday morning rammed their car into a group of IDF soldiers operating in the Arab village of Ne’ima, seriously wounding an officer and lightly injuring another soldier. The IDF stated that soldiers who stopped on the side of the road northwest of Ramallah were run over by terrorists. In response, the troops fired towards the terrorists, killing two of them and lightly injuring another. Both injured soldiers were evacuated to hospitals. The seriously wounded officer was evacuated in stable condition after being anesthetized and ventilated. A doctor treating him stated that he was not in a life-threatening condition and that he was undergoing an operation. The lightly wounded soldier was evacuated with injuries to his legs.